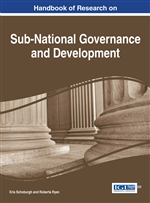 This chapter explores the challenges of local representation within the context of Australian local government reform. Since the 1990s Australian local government has been undergoing a continuing process of reform that has reshaped the role of the elected members or councilors. In many states, changes to the legislation since the 1990s clearly demarcate the role of the Chief Executive Officer (CEO) and that of councilors. The CEO generally has management responsibility, while councilors are responsible for strategy and policy making. While a great deal of effort has been expended in developing and effecting these reforms on an institutional level, little is known about whether councilors themselves understand their responsibility or how they view their role. This research seeks to address this gap. Since the 1990s local governments across Australia have been undergoing a process of reform (Dollery & Grant, 2011). The main objective has been to make local governments more effective and efficient in order to ensure their financial sustainability and their continuing capacity to provide services to the community (Aulich, Sansom, & McKinlay, 2014; Hearfield & Dollery, 2009). All local government reforms have addressed the administrative, financial, and technical capacity of local councils, but these aspects tend to strengthen only one role of local government – service delivery. They do little to support local representation and democracy. In fact, some scholars have argued that these reform processes may even weaken local democracy (e.g., Kiss, 2003). The democratic role of local government has been “comparatively neglected” in local government reform processes (Grant & Dollery, 2014, p. 9), despite reforms having significantly changed the role of the councilor. As a result, little is known about how locally elected members conceptualize local democracy and their representative role. This chapter considers this question by examining the challenges of democracy and representation (i.e., the practice of councilors representing their constituents) within a local democratic framework (i.e., legislation and the subsequent institutions which shape that context). It outlines the preliminary results of a national survey of councilors which gathered data on their understanding of their roles and responsibilities within the local government system.